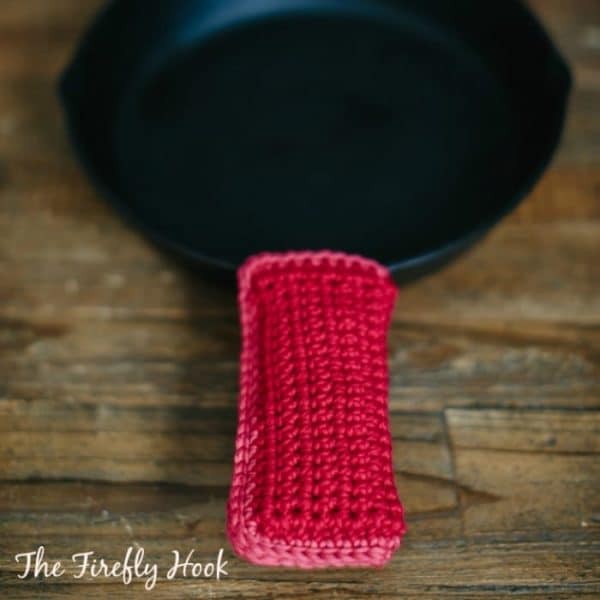 The Double-Layered Handle Holder is a guest post written by Abbey from The Firefly Hook. 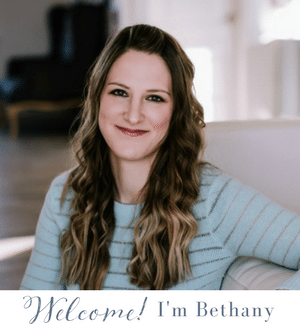 You can find her on Facebook, Instagram and Pinterest. We are huge fans of cast iron in our house. I won’t wax on about how awesome cast iron is or start a debate on how to properly season your pans. 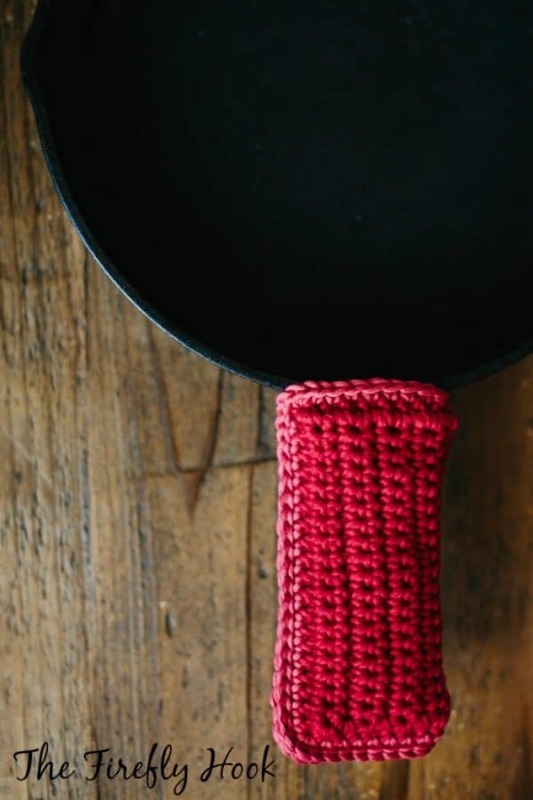 I’ll refrain because if you are looking to make an accessory for your pans you are already well-aware of cast iron’s many benefits and I’m sure you’ve formed all your opinions about the way to properly care for these superstars of the kitchen. There you are in a kitchen that smells heavenly with nothing but a cutting board to wash and some time to crochet until dinner. 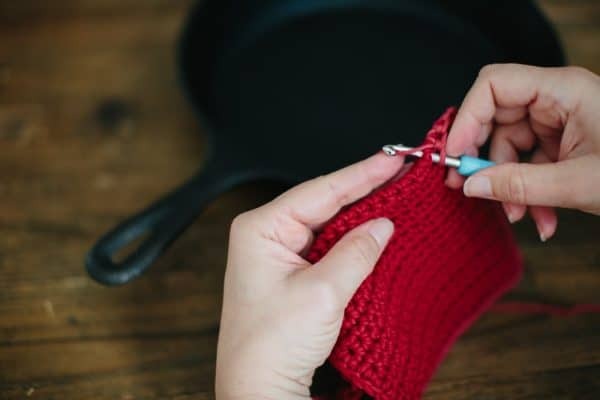 By the time your shepherd’s pie gets bubbly delicious inside, you can whip up one of these cozies. 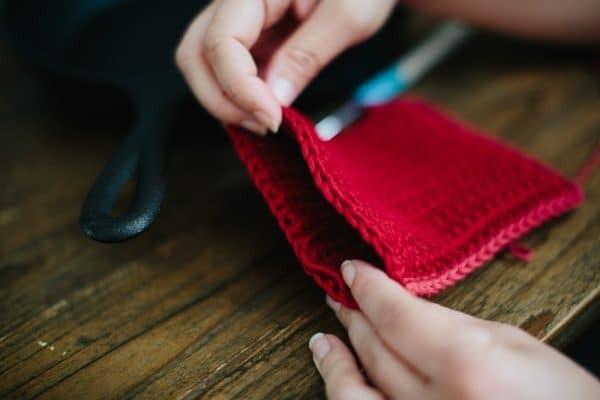 I wanted to design a cozy that could be worked in rows then folded twice so it would be more fun for me to make them. The cozy on a cast iron needs to be double-layered because the pans are so heavy. 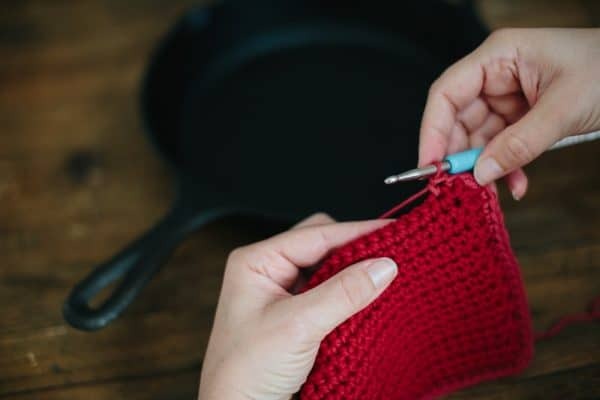 If you only have one layer, your fingers could press against the holes in the cozy (which is supposed to function as a protection against the heat) and you’ll get a burn and probably a broken toe when you drop the pan. 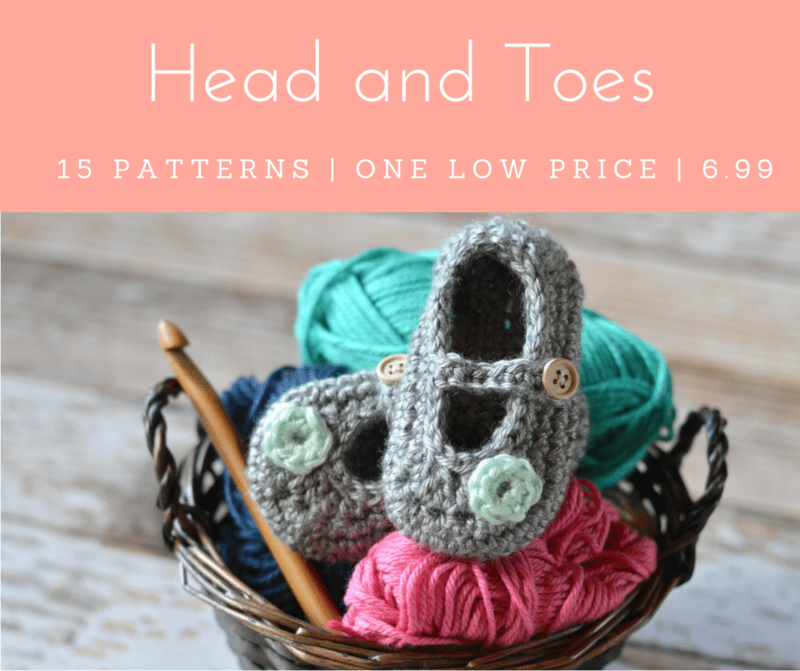 So here you are – a cozy to make your hands happy twice: worked in rows and double layered. Note: You can adjust the length of the handle holder by increasing or decreasing the initial chains; width is adjusted by increasing or decreasing rows. Rows 2 – 35: Ch 1, sc in each st across. Fold in half. Attach CB to any side. Working through both sts on each side of fold, sc evenly around and 3 sc in each corner. On folded edge, sc evenly across. Fold in half once more and sl st around bottom and side working through both sts on each side of fold. Leave top open for slipping onto handle. 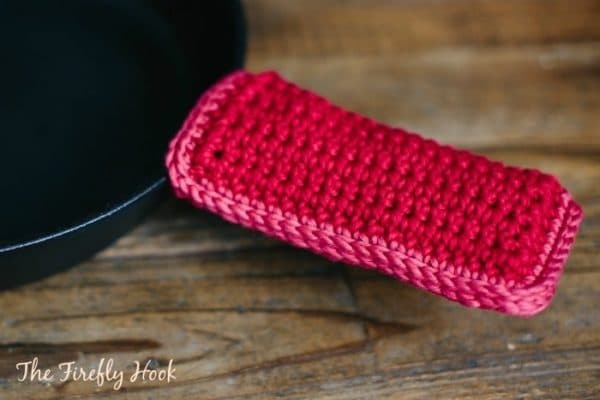 Slip onto your favorite cast iron pan and get cookin’!